I work with foundations to examine operations, programs, or culture to become more strategic and efficient, uncover latent capacity, and craft solutions. Whether embarking on a full-fledged strategic planning process, leadership succession, impact assessment, or another targeted effort, I will collaborate with board, staff, and other stakeholders to lay out a path forward. My approach is to work collaboratively with clients to find the best of what is within an organization and explore ways to build on those strengths. I listen first, and then listen again, to initial reactions to my first reflections and observations to ensure that I’m on the right path supporting your organization. I am intentionally inclusive and collaborative. I have both experience and a clear, successful process for board self-assessments, member surveys, and, just for funders, grantee community perception, governance, and grant strategies assessments. 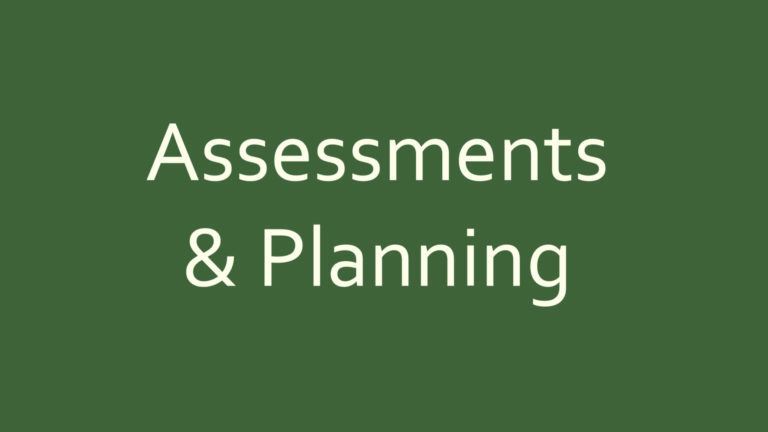 These and other specific assessments can be done as stand-alone pieces or within a larger overall organizational assessment or strategic planning process. My reports and documentation are crafted with care to highlight strengths and offer candid feedback in order to support the organization in moving forward and making improvements that reflect and support organizational culture and strengths. I take pride in crafting top-notch reports that are accessible, informative, and inspiring— whether data reports packed with charts and graphs, a presentation of stories, or a combination of the two. Please reach out to discuss your needs and ideas with me – I’m happy to share ideas with you, and if I’m not the best fit for your project, I can often recommend other consultants or resources to consider.